Are you going to an airport in New York City? Or are you meeting someone there? You can forget the expensive, stressful, traffic-crazed cab ride. Instead, take the train to the plane. The "train to the plane" is called AirTrain. To access the AirTrain, use the mass transit connections available from the Atlantic Avenue terminal in Fort Greene at the corner of Flatbush Avenue and Atlantic Avenue. The first step is to get to Atlantic Avenue station, presumably by subway. Hop a quick ride on the Long Island Rail Road (LIIRR), which is a slight step up in style and comfort. Finally, enter the 21st century on a sleek, fast, fun train to JFK Airport, which arrives at every terminal. Conveniently, the Atlantic Avenue subway station is a huge hub, accessible from many other New York City subways. So, unless you are dragging a too-heavy suitcase, save some money and time, and use mass transit to get from Brooklyn to JFK. To get to JFK from Brooklyn's Atlantic Avenue station, you'll be using three different trains. The first, of course, is the subway. The second is the LIRR, which connects the Atlantic Avenue Station to Jamaica, which is where you can pick up the AirTrain. The AirTrain is a spiffy, fast, short train that runs around JFK airport and connects to various other transportation hubs, including the LIRR's station at Jamaica. You can use a MetroCard to get a discount on the AirTrain. However, you have to buy the LIRR ticket separately at the station. Keep in mind that if you buy an LIRR ticket on the train, you'll pay more. Buy a ticket to Jamaica. They run $5 to $15 depending on when you go, and whether you buy the ticket on the train (don't) or before you board (do). These are commuter trains, and they run frequently. The train ride lasts about 15 minutes. Exit at Jamaica, but don't leave the station. Look for signs for the AirTrain, which is in the same station. It's a pleasant station, well lit, and has good signage. 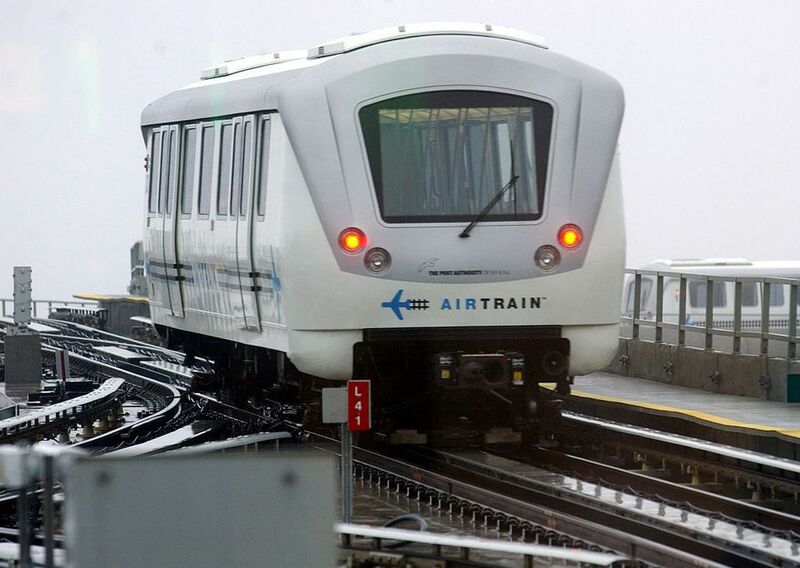 Buy a ticket for the AirTrain, and get on board. Use your MetroCard to get a $5 ticket (kids under the age of 5 are free). These trains also run every 10 minutes or so, and the train ride to JFK takes about 10 or 15 minutes. Get off at your terminal; the AirTrain stops at all terminals. The total trip will take about a half hour from the Atlantic Avenue terminal, and cost less than $15. TIP: The AirTrain JFK has escalators and elevators, but the NYC subway doesn't always have services for the disabled or people who cannot carry their own bags. Think in advance about whether you can manage your own luggage on the subway leg of this trip, which is the most inconvenient part of it.